The Wilson Tennis team posted a couple of pictures of Feliciano Lopez visiting their suite in Paris today. 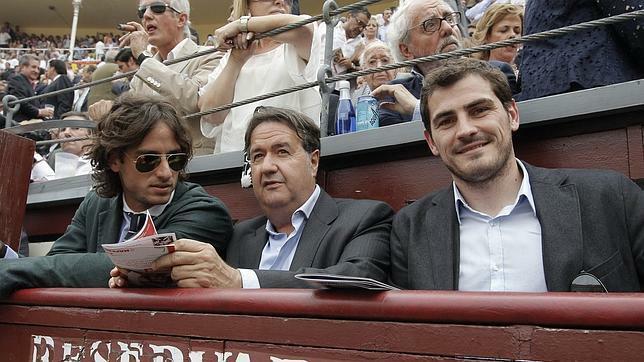 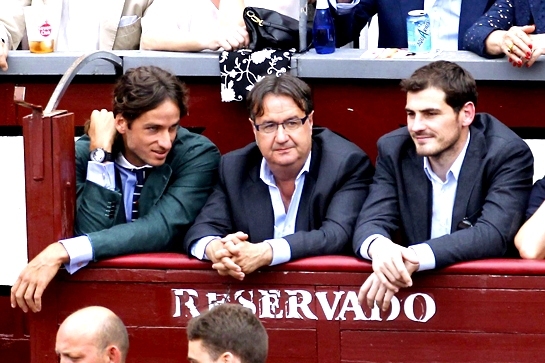 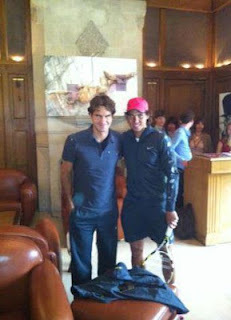 It seems like Lopez met them to discuss about footwear. Do Australians only love flat white? 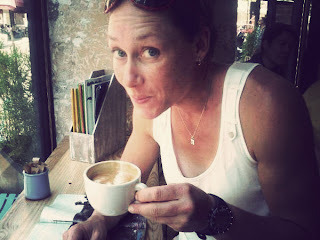 Looks like Sam Stosur is happy to be able to find flat white in the city of Paris. 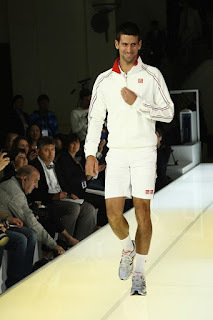 Flat white is a type of coffee beverage originating from Australia. 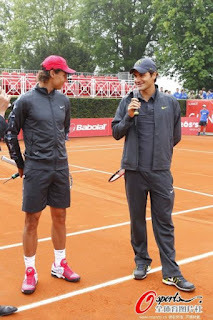 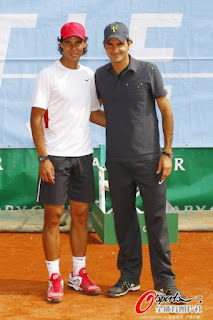 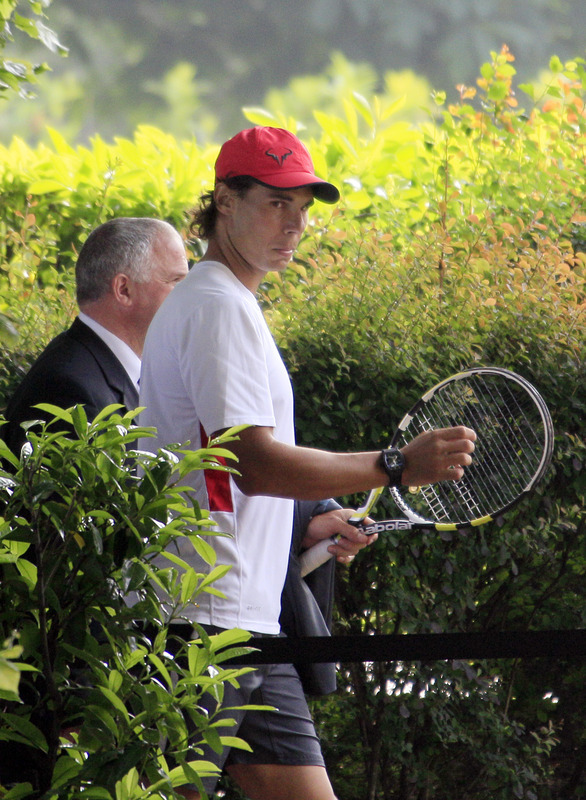 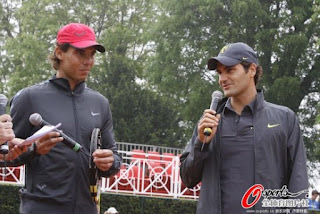 Here are more photos taken from an event by NetJets featuring Rafael Nadal and Roger Federer in Paris. 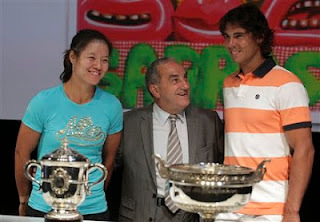 We're less than an hour before the French Open LIVE draw. Meanwhile, here are there selected photos of the players from the official website. 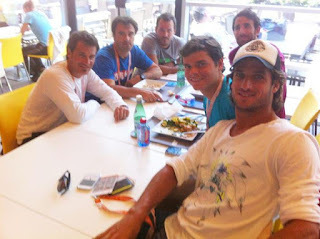 Too bad that Kim Clijsters is out of the tournament due to hip injury. 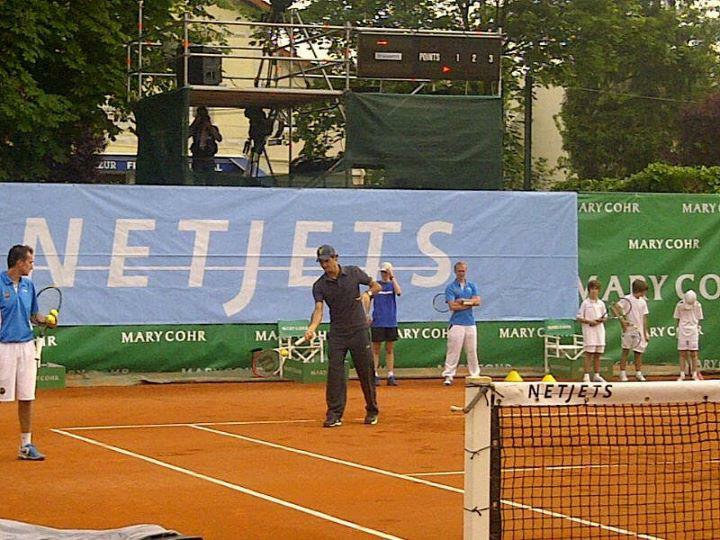 Looks like Ana Ivanovic is pretty confident this time. Feliciano Lopez seems to be getting along quite well with fellow Wilson team mate Milos Raonic. They have been taking quite a number of pictures together and posted on the Facebook. 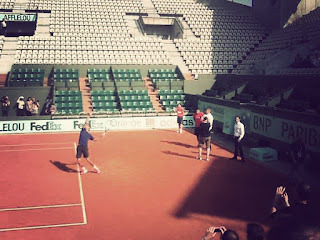 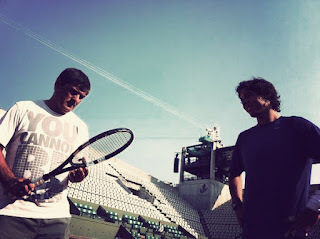 The boys are currently preparing for the French Open next week. 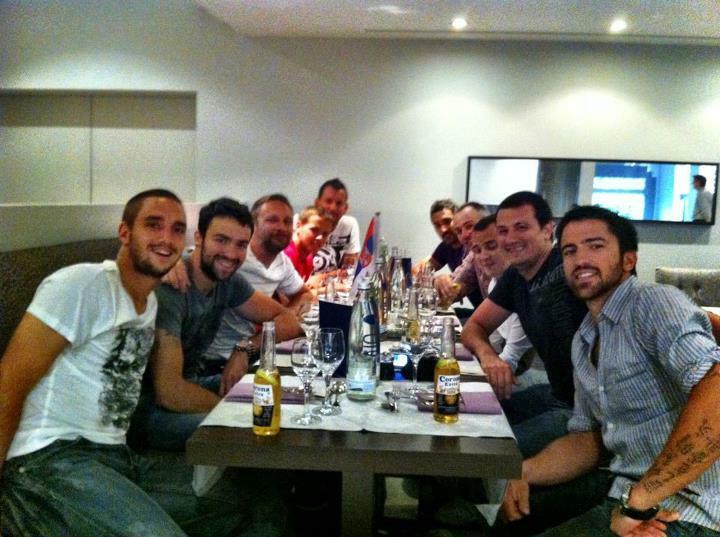 Meanwhile, Janko Tipsarevic took a picture with his fellow Serbian team mates over a drinking session. The Serbian team will face off with Germany at the World Team Cup today in Dusseldorf. 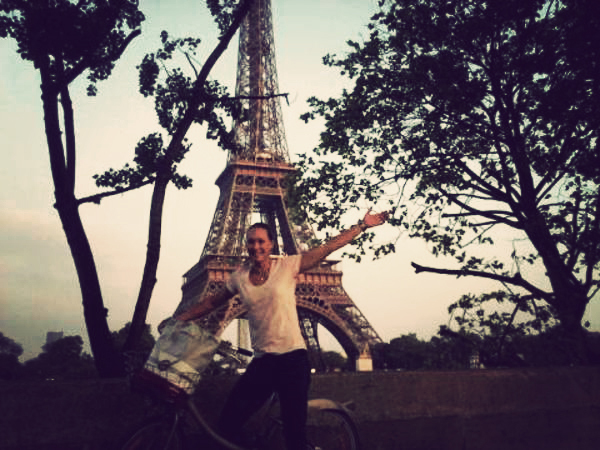 Sam Stosur posted a picture of herself riding a bike in Paris on her fan page. In that post, she mentioned that she has too many bad experiences with taxis. Not sure if she specifically pointed that to the Parisian taxi service or just a random statement. 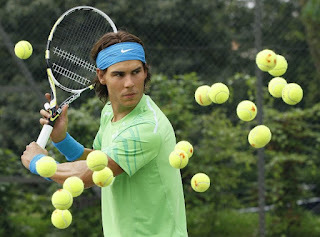 A new waxwork figure of Rafael Nadal is unveiled during a photocall in Regents Park in central London today. 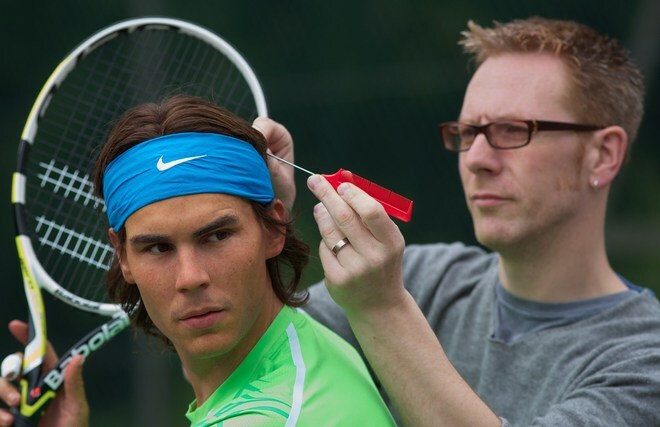 The waxwork will later take up residence at the Madame Tussauds museum in London. 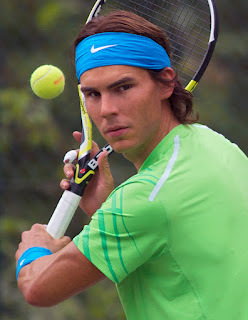 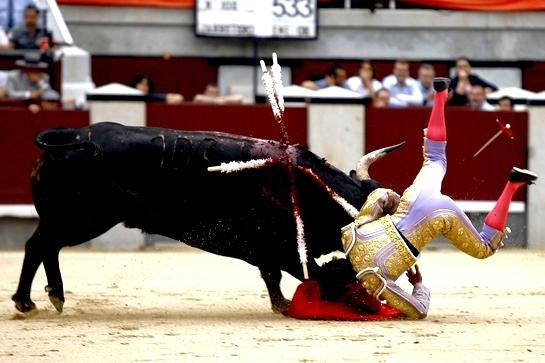 Other sports figures there include David Beckham, Christian Ronaldo and Muhammad Ali. 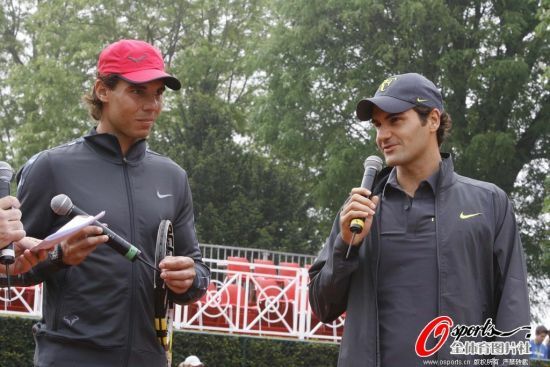 So that's a huge honour for Nadal. 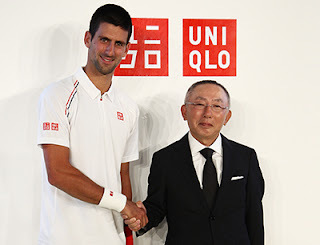 Novak Djokovic has dropped his Sergio Tacchini clothing sponsorship and has reportedly signed a 5-year deal with Japanese brand UNIQLO heading into the French Open. 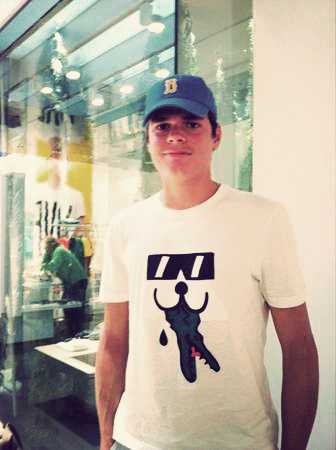 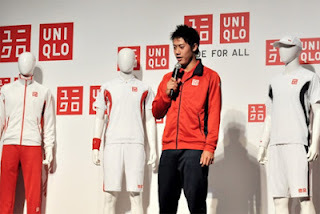 The brand also sponsors Japan's top-ranked player Kei Nishikori. 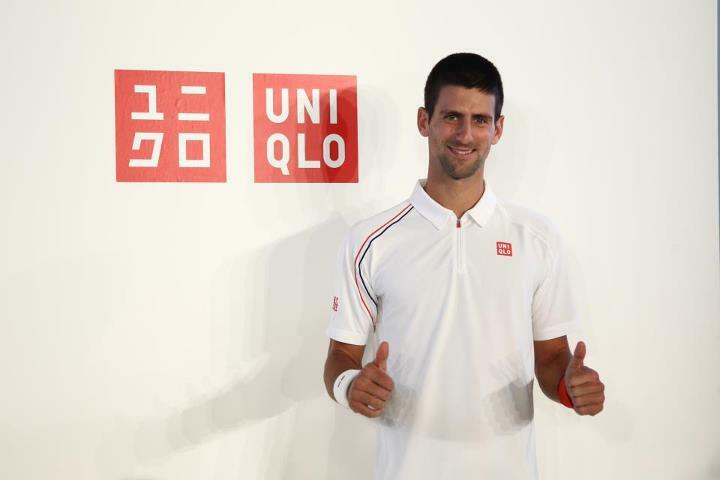 I'm looking forward to see Djokovic debut in his new UNIQLO gear in Paris next week. Kim Clijsters announced that she will retire after the US Open in a news conference at the headquarters of her sponsors Galaxo in Paal, Belgium. 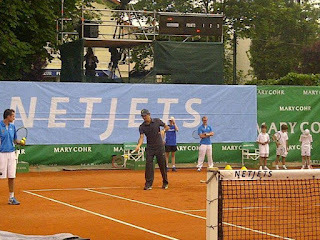 The Belgian said she felt Flushing Meadows, which is only 45 minutes from her house in the States, was a fitting place to end her career. 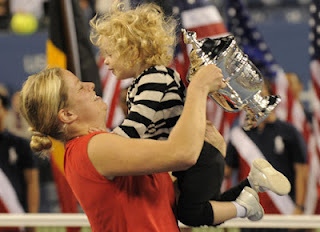 Clijsters, who is married to NBA basketball player Brian Lynch, initially retired in 2007 before the birth of her daughter Jada. 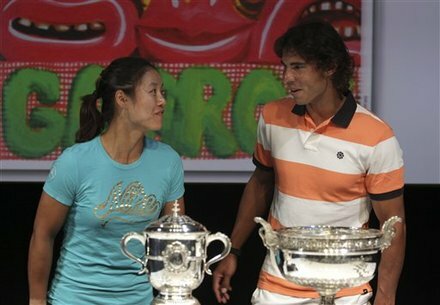 But she returned in 2009 and went on to win the US Open that year. 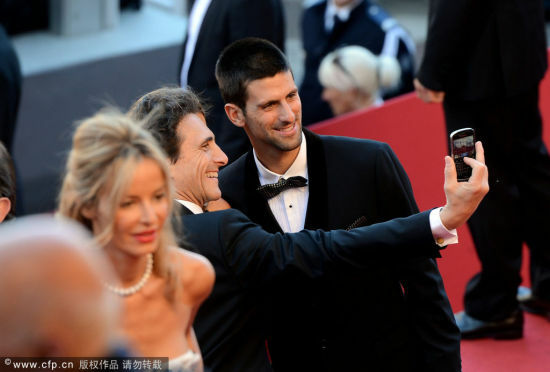 Novak Djokovic and his girlfriend Jelena Ristic attended Brad Pitt's "Killing Them Softly" premiere during the 65th Annual Cannes Film Festival yesterday. 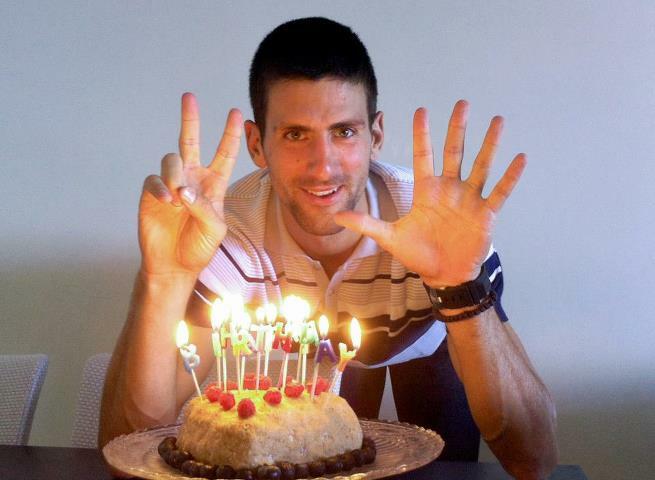 It was also Djokovic's 25th birthday yesterday. 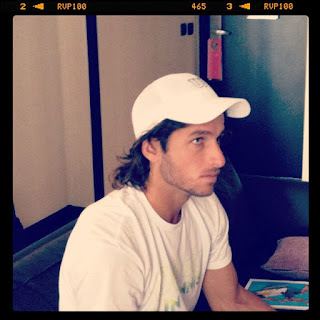 He posted a picture of himself on Facebook with a cake specially made by Ristic.